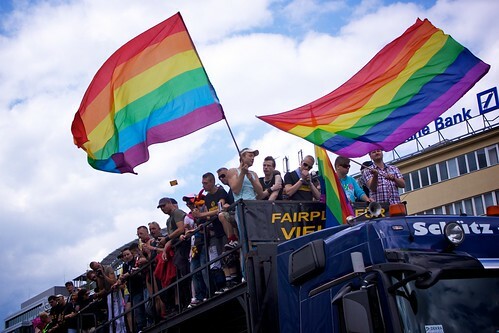 It’s not often that you get to experience a huge event in another country, and on our third day in Berlin, we got to experience one of their most popular events – Christopher Street Day (Berlin Gay Pride). We ended up catching the parade in front of the KaDeWe department store. This parade was huge, with many huge floats hosting people dancing and drinking in celebration. 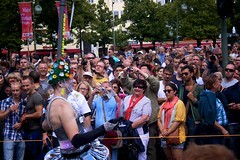 Everyone seemed to have a fantastic time and the spectators where all enjoying themselves. 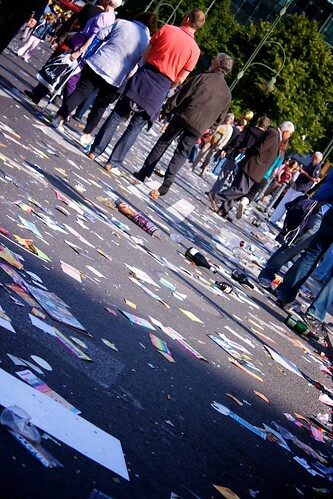 The parade continued well into the afternoon and ended up at the Brandenburg Gate. What I did find interesting was that people were opening up champagne bottles and drinking in celebration, even the floats themselves where selling alcohol to anyone that was following along. Unlike here in North America, there were no fights, there were no riots, just people enjoying a good party. Granted the mess that is left behind is huge, but the cleaners do a fantastic job of cleaning it up quickly afterwards. 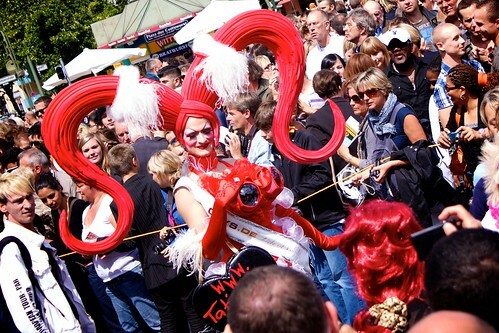 You can catch more of my photos from the parade on my Flickr – Christopher Street Day set.